Among many interesting projects in 2018 was for the Winerack development of 150+ high-rise apartments on the waterfront at Ipswich. You can read more about it in View from the top and view an ULTRA HIGH RESOLUTION VIEW looking towards the Orwell Bridge. 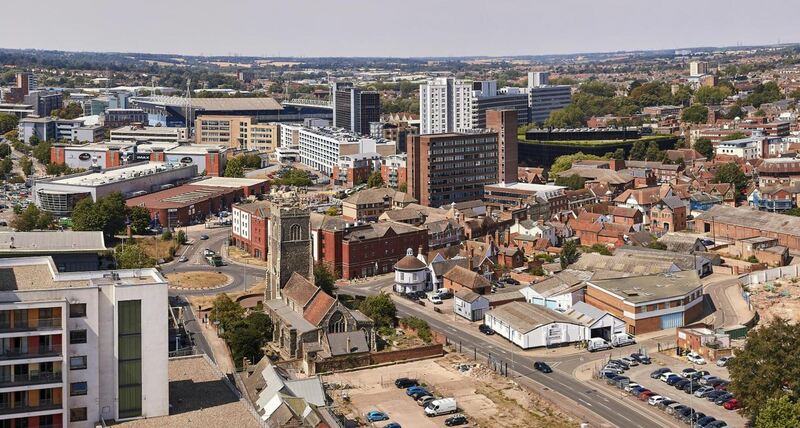 As the tallest development in Suffolk this year we couldn’t miss the opportunity to share the full view from the top of the tower by making a 360 degree panorama of Ipswich. Actually, the shell of the staircase obscures the all-round view from roof level so I had to gain yet more height by mounting the camera on top of a mast and rotating the mast taking 20 images to complete the 360 view. Thanks to all the guys from RC Carter who helped with these projects and to Ipswich Wharf Developments for commissioning them. View 360 PANORAMA OF IPSWICH from the top of the Winerack. For the best experience click the [FullScreen] button in the top right of the pic. If you have a project in mind for 360 / virtual tour or ultra high resolution photography please get in touch. Remember I also make timelapse, video and of course stills photography.